"Pitt is a great school and a great program," Nova said. "We can compete with anybody, whether it is in the Big Ten or Big East or anywhere else so, really, Pitt will be fine no matter what happens. I'm not really worried about that at all." This is precisely what I've been saying time and again. 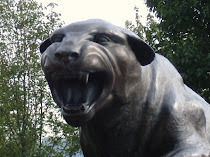 While it's nice to stir ourselves into a panic, and while Pitt may be financially better off with a move to the Big Ten, I really think they will be fine no matter what. 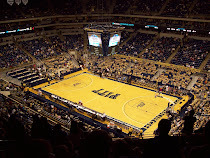 Pitt brings enough to the table that they will land somewhere in a major conference. Of course Pitt wants to place itself in the best possible position, but I don't see a scenario where they can't get into a BCS conference. The 6-foot-2, 205-pounder passed for 1,668 yards with 23 touchdowns and three interceptions as a junior in leading New Jersey powerhouse Don Bosco Prep to an undefeated season and 12th state championship. "I'm a leader, and I find a way to make plays," Nova said. "I can run. I can throw. The most important thing is to find a way to win games. You can have the strongest arm or be the fastest, but if you don't win games, it doesn't matter." "His credentials are exceptional, with his NFL experience," said Rowell, a three-year starter on both sides of the ball who has a 3.7 grade-point average. "A lot of schools turned me down because I'm 6-2, but he embraced that. He's won with guys my size. He tells me it's not how tall you are but how good you can block people. "I have good feet, and I think I play exceptionally hard. I go to the whistle. I get after it. That's what fits me with Pitt. That's how their offensive line plays. They're a bunch of hard-nosed football players, and that's the way I am." "If you perform at the level we play at, you’re going to get better," Nova said. "And I’ve gotten better because that’s all I’m focused on. Like [Don Bosco coach Greg Toal] says, you can get better every five seconds you play. You’ve got to want to get better and do everything to get there. I did that and I’m still doing that." "I built a good relationship with the coaching staff, and after a tour of the city [last month], I just fell in love with the place," said Nova, whose current Don Bosco teammates Bryan Murphy and Brandon Sacco signed with Pittsburgh in February. "I feel like I fit perfectly into what they do with their offense. Pitt has really stepped up its recruiting efforts in New Jersey, an area where assistant coach Jeff Hafley has found tremendous success in the past couple of years. The Panthers' recent pickups from the Garden State include defensive end T.J. Clemmings, running back Ray Graham and athlete Jason Hendricks. You can also add the biggest fish of all, Dion Lewis, to that list who attended Blair Academy in New Jersey.